So what's up with Toyota design now that Hirai is out? Global design chief Wahei Hirai made styling matter at Toyota. 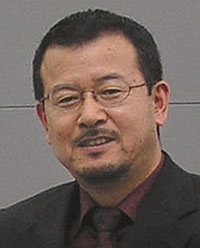 Wahei Hirai climbed higher than any other designer ever has at Toyota -- one rung below the lofty grade of board director. His assignment when named global design chief in 2004: Make styling matter at a company where it was often an afterthought. He did, too. But the 59-year-old Hirai will retire at the end of June, and there is no indication who will replace him or whether his successor will have the same kind of clout. When Hirai took over, he said, "Marketing people did the research, product planning did the packaging, and then design was asked to cover it." Hirai changed that. For example, the design staff is no longer engineering-centric. Before, Toyota had three studios in Japan, divided into front-drive, rear-drive and commercial vehicles. These days, one studio is devoted to Lexus. The two Toyota brand studios divide the work according to vehicle type. Studio No. 1 handles "global core models," such as the Corolla, Camry and Yaris. No. 2 is responsible for so-called lifestyle vehicles such as minivans and other trucks. Hirai will remain, sort of. He will assume the post of Toyota senior technical executive, a title given to experts that the company wants to call for advice when needed. But he won't be in charge. Will anybody?